A few weeks ago, I had the great privilege of seeing these local darlings play some of their vast, now seven full-length albums deep, catalogue. 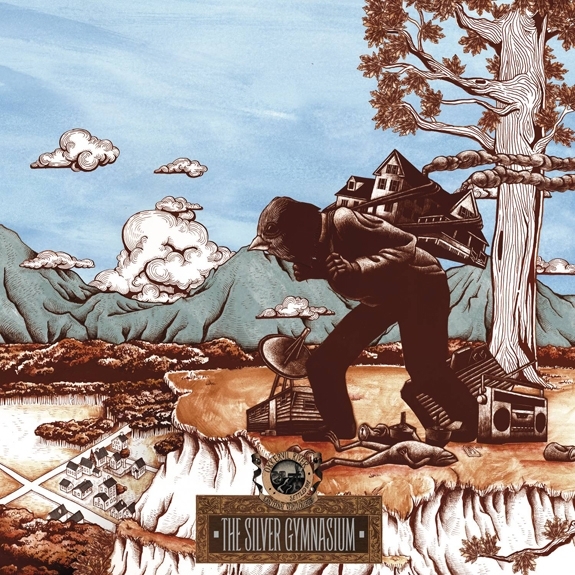 While I was originally there to hear my favorites from prior releases, I was soon treated to several new songs off this release, The Silver Gymnasium, which got me excited to hear the rest of what Will Sheff and company of Okkervil River had to bring to the table this time around? First to reach your ears is single, “It Was My Season,” which has this band doing what feels right for their little niche of folk inspired rock music coated in darkness. Some campy piano bursts onto the stage, joined together with Sheff’s unmistakable voice, and like the opening number in a musical you actually want to see, you go right along with Okkervil River as they take you down that path “all that time ago” into a tale of past love. The song picks up, to culminate into a full-blown chorus that should have you stomping along with them in a springier step then you may imagine. At the end of the four and a half minute track, the band leaves you on a nostalgic level, simmering down and letting you self reflect for a bit right before they launch into the next song. While the first three songs on this record serve as a nice little trio of goodness to start of the record, you can notice a bit of a drop off after this point. There are still some good tunes awaiting you on the latter half of this record, they just don’t immediately grab you on your first listen through. Take “Walking Without Frankie—” second to last, the song starts with a rolling drum beat, and continuously builds upon itself, with Will Sheff twisting his storytelling lyrics around the music that keeps being added upon in the background. It gives the sensation of the tide rising; one moment you are taking note that the water is getting closer to you and the next it is upon you, with cymbals crashing in a frenzied finish. And as simple as that, this band has added yet another number of songs, albeit not all of them, to add to your list of favorites. Some may argue that this album lacks the bleak bitterness of age and time that you would expect from a band that has been around for quite a long time now, but I think the youthful spin on The Silver Gymnasium is a turn in a good direction for Okkervil River; the darkness is still there, just waiting for you to find it.